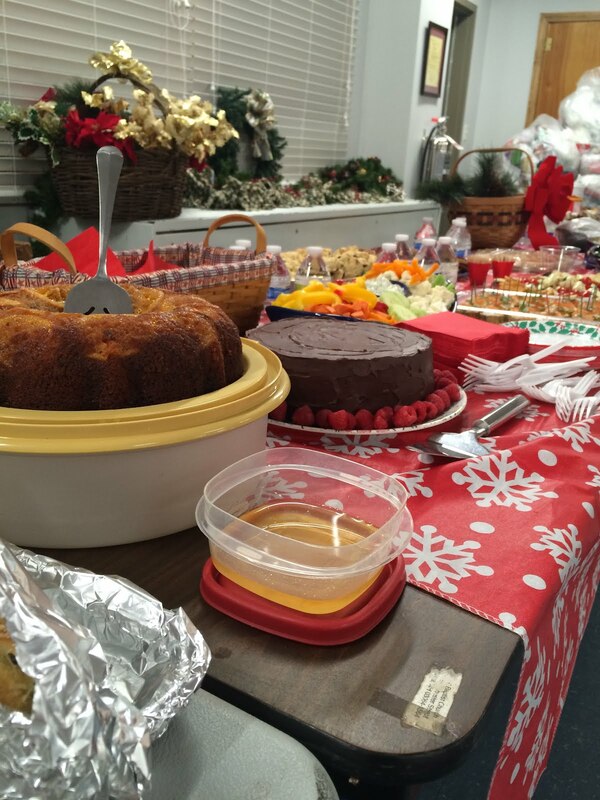 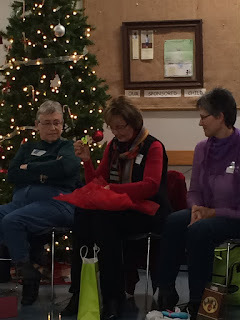 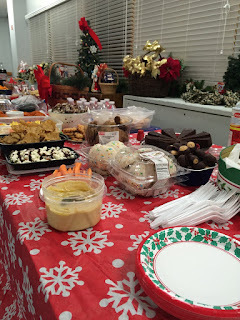 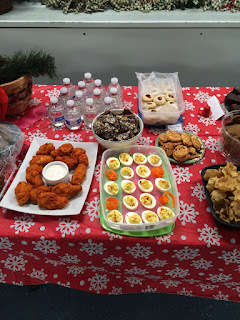 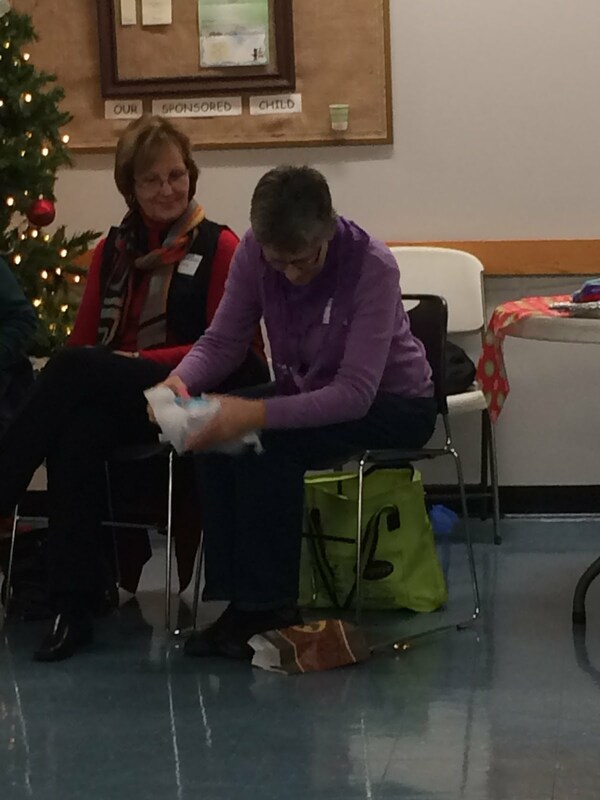 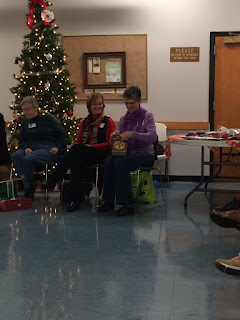 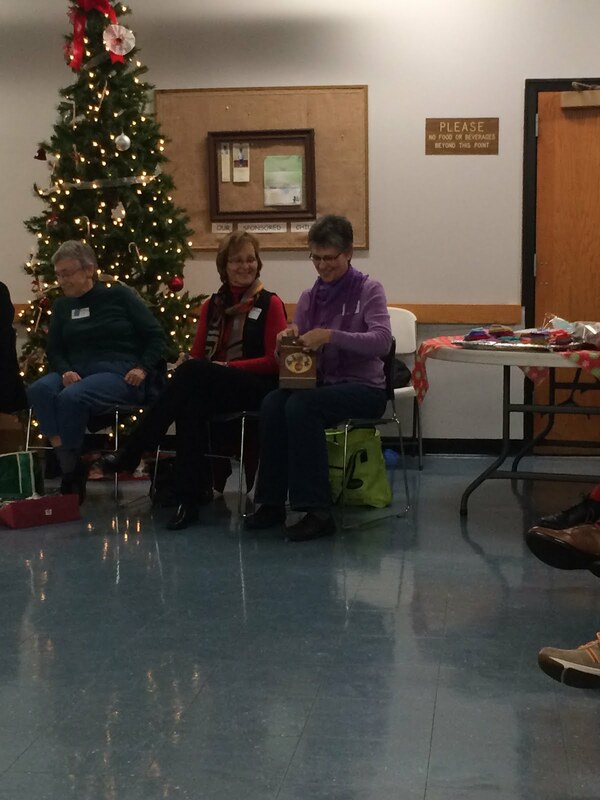 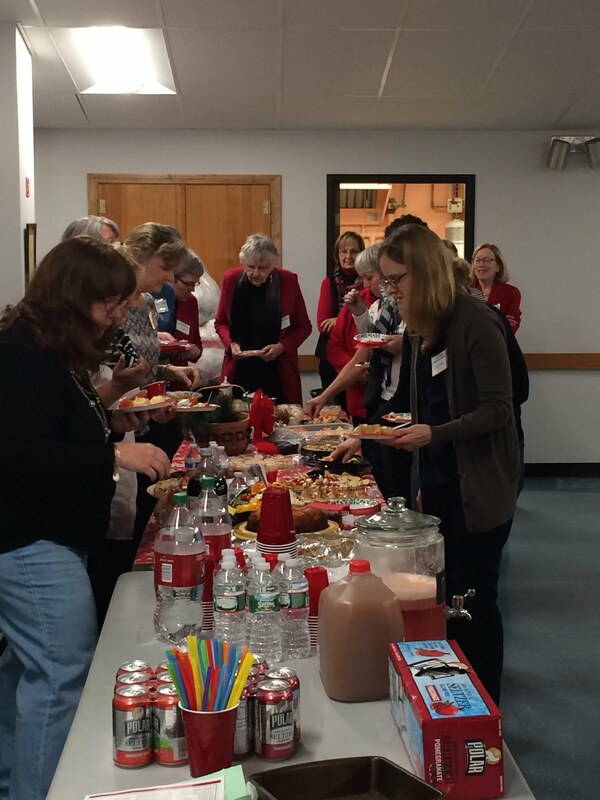 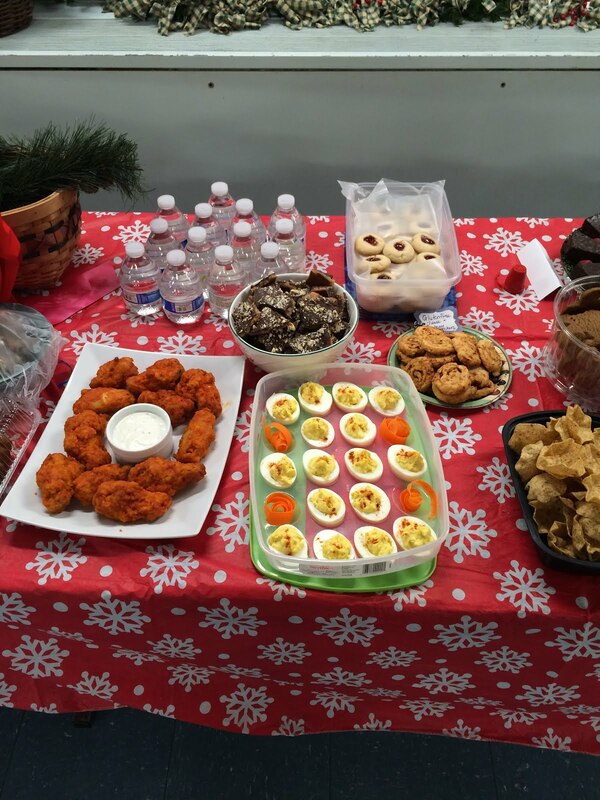 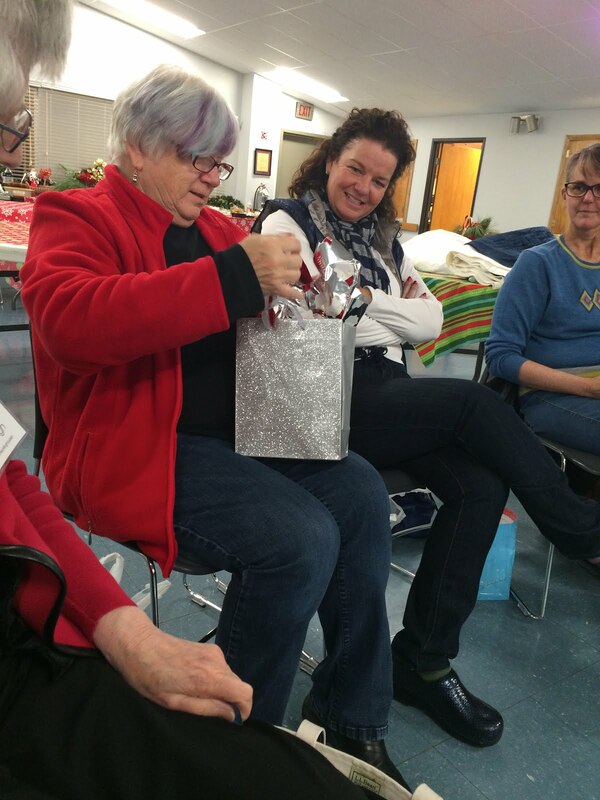 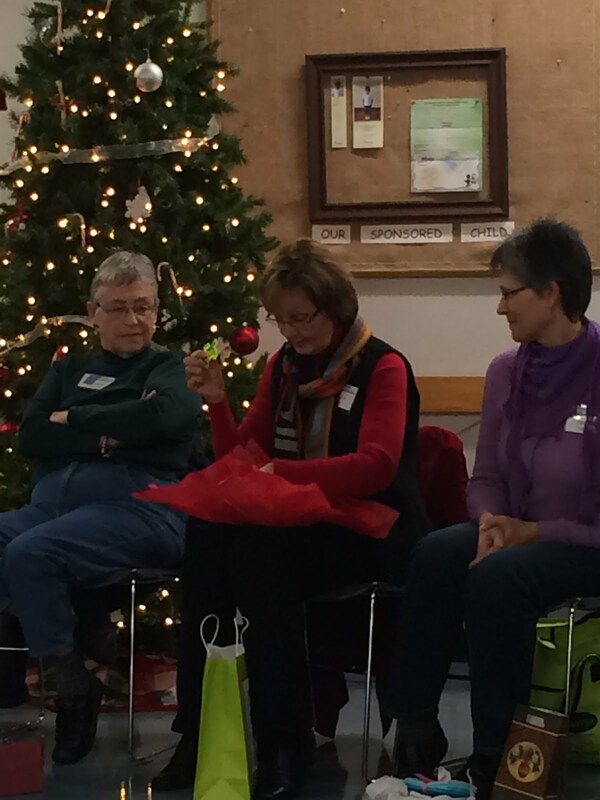 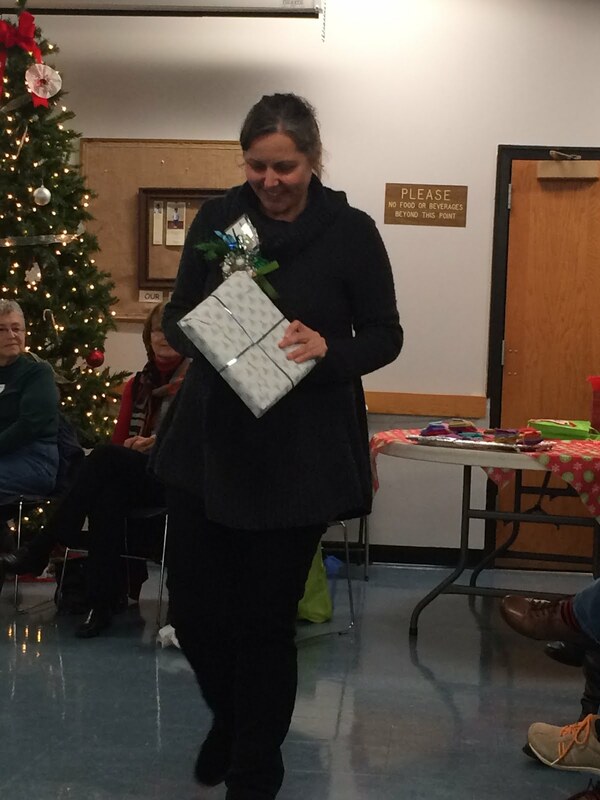 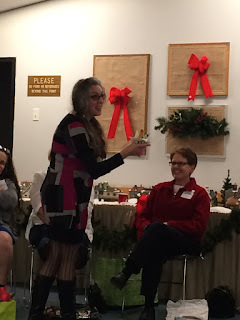 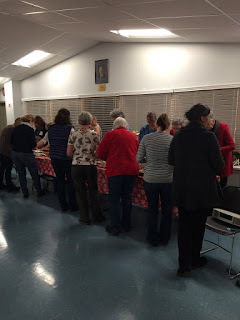 As part of our December meeting we had a holiday party and Yankee Swap! 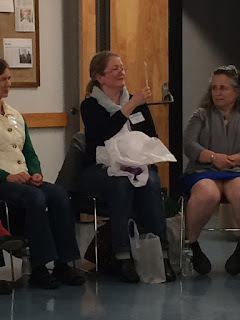 The swap was "modern" themed and everyone went home with a fabulous gift. 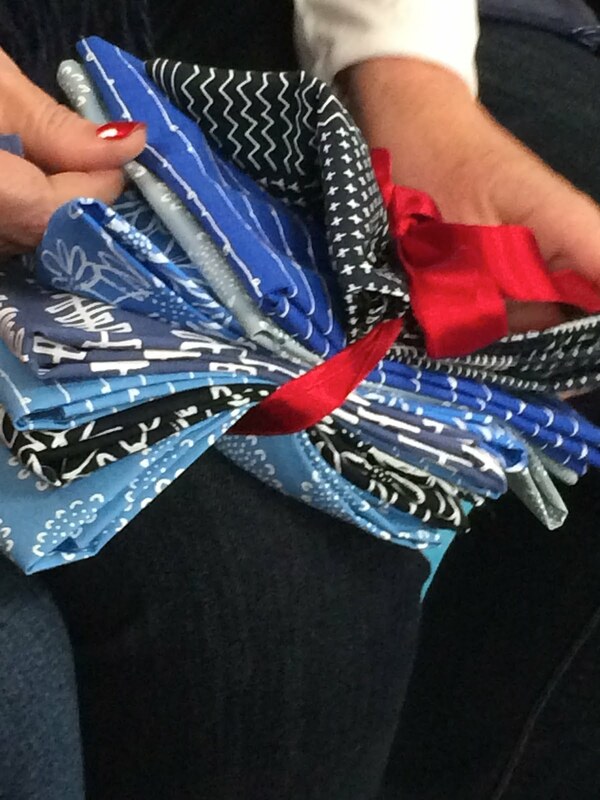 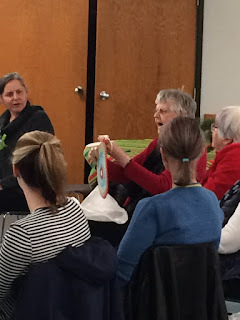 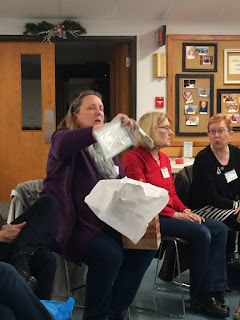 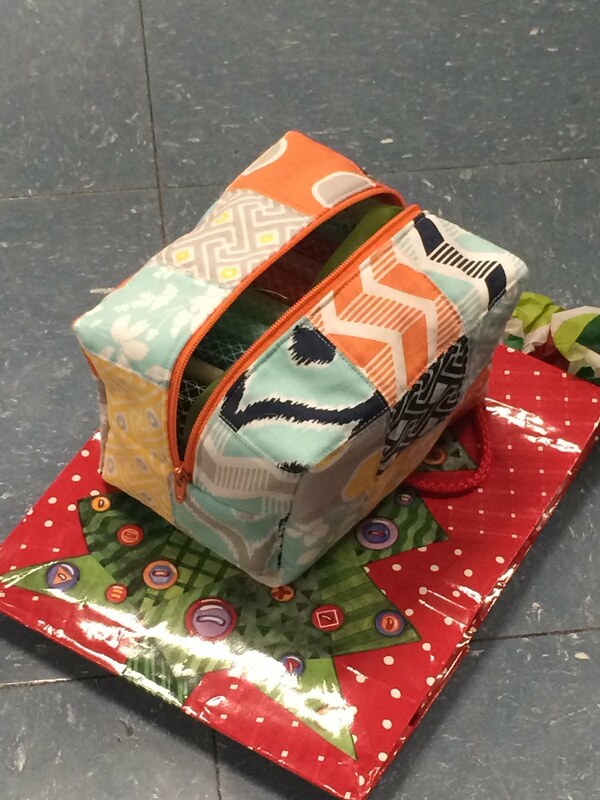 There were fabric bundles, books, zipper pouches, handmade holiday decor, mugs and some lovely bags. 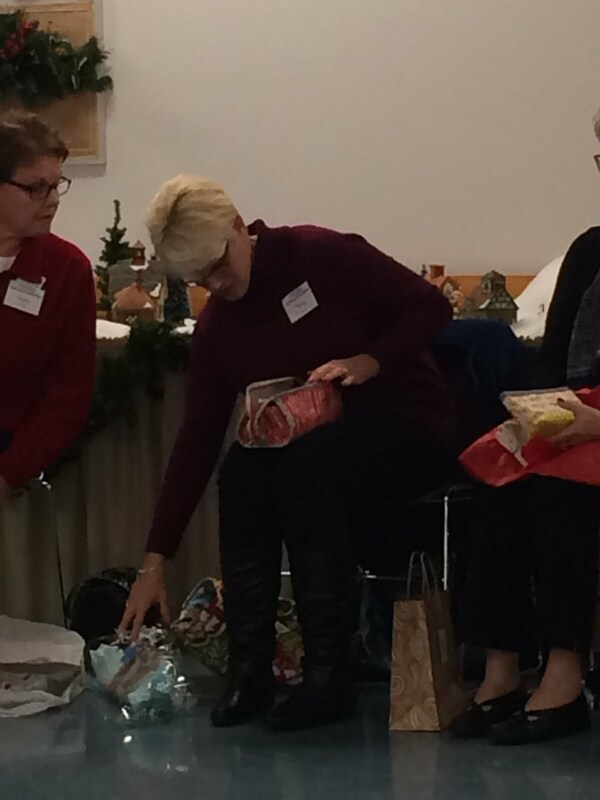 Here are some pictures of the gifts being chosen, opened and of course, some of the goodies! 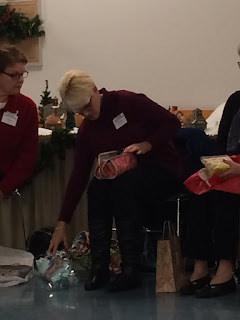 There were two gifts in particular that got swapped quite a few times. A blue blueberry park bundle by Karen Lewis (view the entire line here) and a set of two Modern Quilting books! After the Yankee Swap we indulged in so many delicious treats. 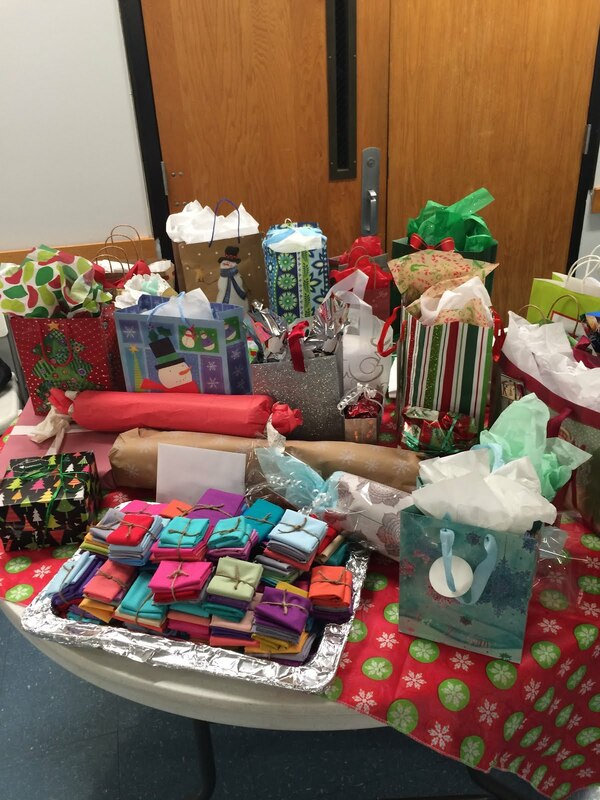 Thank you to everyone who made a treat and for the creativity that all members put into their gifts! 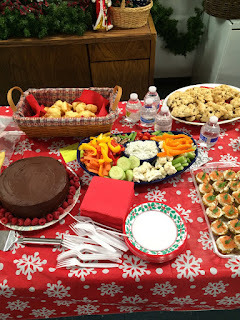 Good summer holiday party ideas will help you save time in during planning and will also make the process less stressful for you. 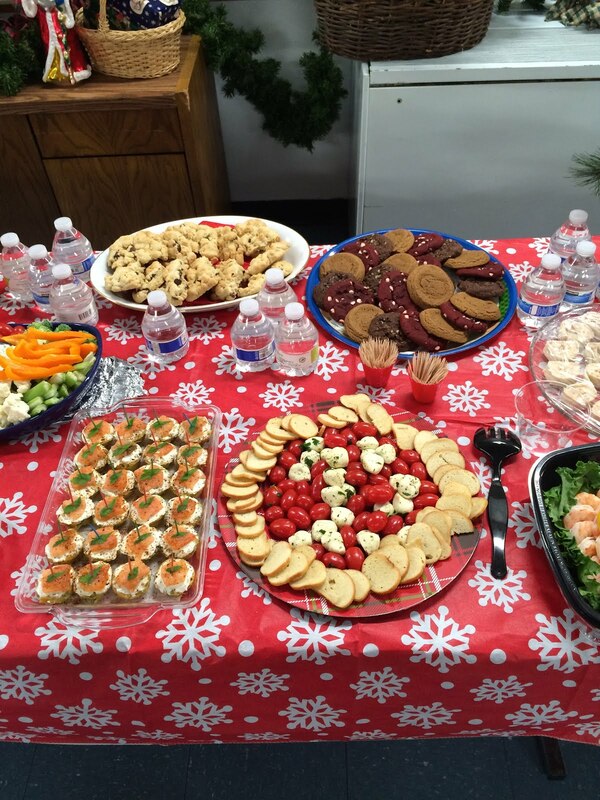 You can use shot glasses for soups, whether they are hot such as lobster Saki shooters or cold soups such as shots of cucumber.